Happy Friday! If you have been following me for awhile, you would know that I have a MAJOR sweet tooth! I was a die-hard Baked by Melissa lover then I switched to Momofuku Milk Bar. My brother Reid (follow him on Instagram here) introduced me to Treat House. 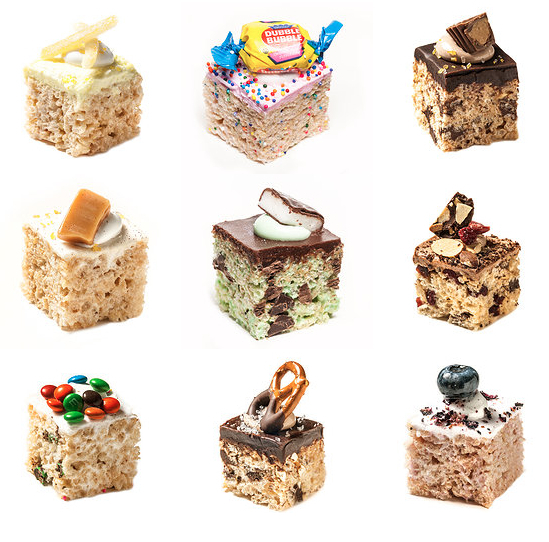 They are bite-size gourmet Rice Krispie treats- so yummy! I am dying to try the chocolate pretzel one. Treat House is shipping in the U.S. now and you can also stop by their store in the city. Have you tried Treat House before? How freaking cute are these! Your blog is adorable, I'm glad I found it!